Hey, it is a great time to be selling cars or to start a career in car sales. The auto manufacturers have had to make course corrections and there are now less new car dealers. To the person that sells cars for a living that means that the remaining new car dealers need to sell more cars and that means more car salesman income. Throughout all the chaos in the car business and the restructuring of the car dealerships there is a greater need for the Car Sales Professional and those interested in a car sales career and being a top car salesman. Not the shyster of the past, but the true professional that can make a great living and a great car salesman income selling new and used cars. If you are of those people that lost their job from the mess in the car sales industry, I feel for you. But if you were a true Professional Car Salesman the time is right for you to get hooked up with one of the many remaining car dealerships. If you never sold cars before it would be a great time to become a car salesman and start a career in car sales so you can start selling cars for a living. Any of you that have been in the car business for any amount of time know that there is always a need for a good car salesman or woman. 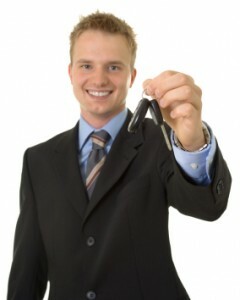 The high turnover in the car business is always been an issue, but a true car sales professional is like a commodity. The professional car sales person can practically go anywhere and make a good living selling cars. (unless you sell Yugo or Daewoo) The car sales business is one field that you can work anywhere as long as you know how to sell cars professionally you have a car sales career. I am not talking about the person that thinks they might try selling cars, I am talking about the true Car Sales Professional making a car salesman income of six figures, now that is an automotive sales career. There is going to be a new face to the business of selling cars. If you are looking to start a career in car sales, this will probably one of the best times to get started. You can have a great car salesman career or car saleswoman career if you are ready to accept the challenge. Please sign up on the right for all the latest and greatest info on selling cars for a living as a professional and become a top car salesman. Serious about your car sales career and selling cars for a living? Determined to be a top car salesman? ...Get the Book! JB, The pay plan is pretty much standard. The problem is, too many salesman for the amount of cars sold per month and the size of the dealership. That is the thing about selling cars for a living is that there are no guarantees. You are the only one that controls your destiny and level of success. If you going to do it you need to jump in with both feet and make it happen. There is great money in being a car salesman, but you had to make it work. HI, I've been reading the posts and comments here and I'm intrigued. There is a job fair on Monday for car salesman. They offer 6k for training (which is a little unsettling). I've always been interested in the industry, but always have been reluctant because of commission and making enough money to support a family of 3. I've had previous jobs doing tech support, recently, and working in service restaurant industry. I guess my question is: Does a black guy with dreds fit into the category of a car salesman that makes 6 figures? Putting it bluntly... I know there are people here with experience and I want an honest opinion. Would I have to cut my hair? Personally, I am definitely willing to put in the time and effort, and I don't have a problem following strict guidelines. But how can I reassure my significant other and myself that this would be a great opportunity for us? Thanks for suggestions and comments.